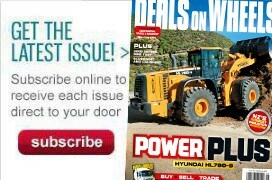 Continuing to offer what equipment manufacturer Genie says is industry-leading versatility in the self-propelled large articulated boom market—36.6 metres to 41.1 metres—the Genie® ZX™-135/70 articulating boom has been updated to offer customers some of the latest advancements in engineering design and technology. "This new generation of the Genie ZX-135/70 includes the new Genie mini XChassis™ axle design, a platform load sensing system and a simple two-point calibration process to set up the primary boom, secondary boom, and jib bell crank in as little as 15 minutes," Phil Fairfleld, sales director, Youngman Richardson & Co Ltd says. Designed with transportability in mind, the Genie ZX-135/70 boom now features the new Genie mini XChassis axle design, which extends and retracts the axles to and from the stowed position with a more compact footprint, 2.49 metres x 4.11 metres retracted or 3.94 metres in x 4.11 metres extended. This provides both stability on the job and a narrow profile for transport. "Similar in design to a full-size X-Chassis expanding axle on the previous generations of this machine, the mini XChassis system boasts two-thirds the footprint of the full-size version for excellent manoeuvrability on and around confined job sites without disrupting people or traffic," Phil says. This boom has also been engineered to meet the overload restriction guidelines. "To comply, all new Genie ZX-135/70 booms come standard with new low-maintenance load sense cell technology, which monitors the weight in the platform and disables drive, steer and specific boom functions if the load exceeds the platform load limit," Phil explains. The updated Genie ZX-135/70 is ready to meet customers’ job site needs with a 7.5kW hydraulically driven generator fitted as standard. Also, the Genie ZX-135/70 boom is updated to reflect the latest Genie design language of an all-black chassis and an updated blue and grey colour scheme. Replacing the previous generation’s six-point process, the 4.11 software on the newly redesigned Genie ZX-135/70 envelope-controlled machines now only need two calibration points: when the boom is lowered to the stowed position and when it is fully raised. Calibrations can now be done in as little as 15 minutes, saving customers hours compared to previous software versions. 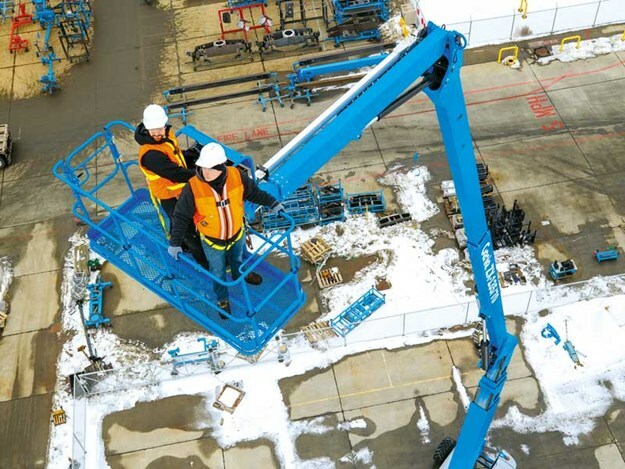 Leading the large articulated boom market, the Genie ZX-135/70 lift still features a maximum platform height of 41.1 metres, 21.3 metres of horizontal outreach, and a 23-metre up-and-over clearance, all accessible with a 272kg platform capacity. TheTelescoping Jib-Extend™ jib on this boom continues to be distinctive, providing exceptional access by extending from a retracted length of 3.7 metres to an extended length of 6.1 metres. "This design includes 360-degree continuous rotation turntable, 160-degree platform rotation for fast, easy positioning, and 110-degree vertical jib articulation. This design still provides access to ‘up, over, and in’ applications inaccessible by a traditional jib," Phil says. The updated Genie ZX-135/70 boom is engineered with four-wheel drive with full-time positive traction to handle rough ground conditions to enhance the smoothness of the ride. Four-wheel steer with front-wheel, rear-wheel, crab- and coordinated-steer options are available to provide additional manoeuvrability. To maximise customers’ rental return on invested capital, the revamped Genie ZX-135/70 boom shares a commonality in design, parts, and accessories, as well as serviceability benefits, including easy access to crucial service points with other Genie products. For more information, contact Youngman Richardson & Co Ltd on 09 443 2436 or for South Island enquiries, call 03 341 6923.